More items are added so keep checking my website. If you're looking for a special item, please let me know. I will be happy to help you out!! Free Worldwide insured shipping!! 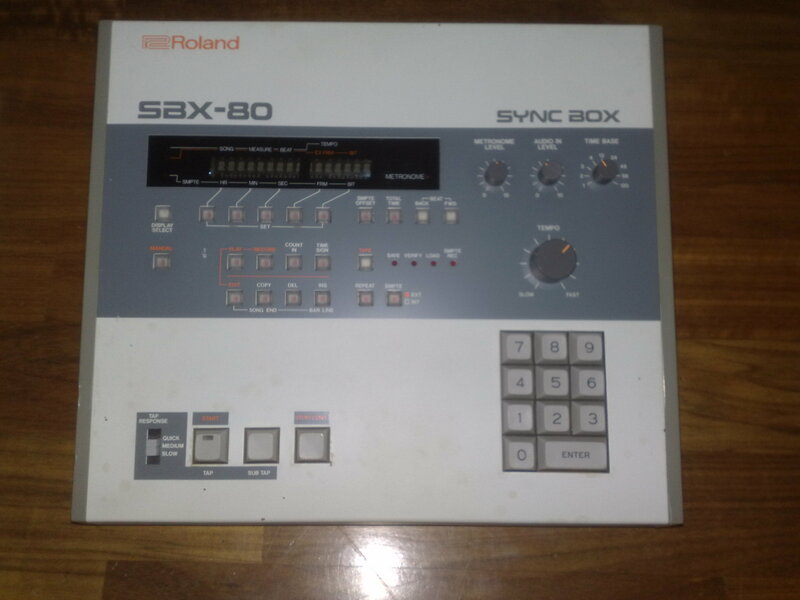 Offered here is the Roland SBX-80 sync box. The unit is very good condition. It has a few marks here and there but overall it's looking great. The sync box has been thoroughly cleaned and all analogue in/outputs and important connections are treated with Deoxit Gold for better contact. Also a repair has been done to the battery compartment, the holder of the two batteries was broken so I fixed it. I also placednew 1,5 V (UM-3) batteries that are needed for the battery backup. After the repair I tested the unit and all functions work 100%. The power is now set to 117 V but it can be set to the particular region you're living in. The original Roland power cable that is included is suited for use in the US, so an adapter to put on the power plug is needed to use the cable in the EU. 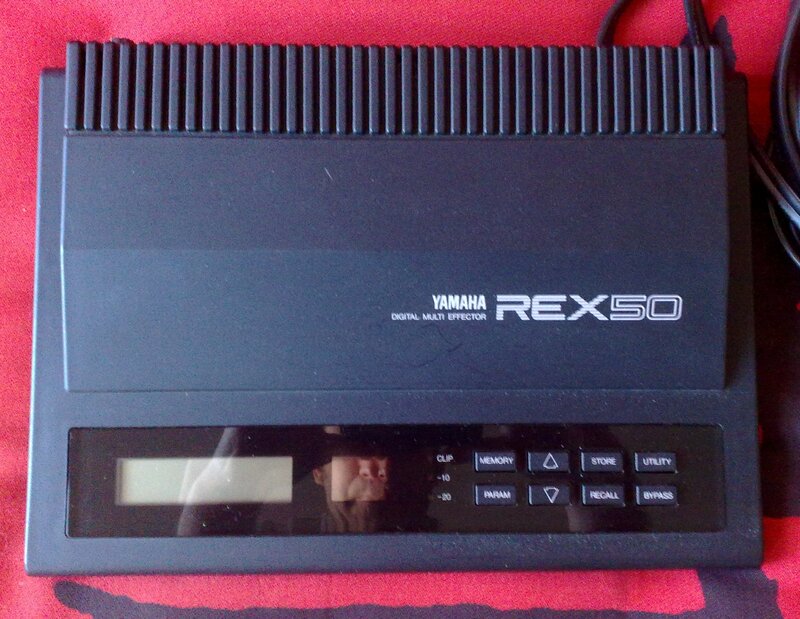 Offered here is the Yamaha REX50 Digital Multi Effector. This curious looking and very flexible digital effect processor was produced in the late eighties The unit is in excellent condition. Thanks to its first and last careful owner this REX-50 looks excellent!! The unit was cleaned and the in/outputs were treated with Deoxit gold for better contact. The unit was completely and all functions work 100%. I hooked it on the Jupiter 4, that I also offer, and it sounded amazing. It has a whole range of (combined) stereo effects that can be altered, and stored. Some examples are reverb(s), distortion, chorus, flanger, delay, echo, pitch, phasing, symphonic,.. It also has a LCD numeric display, 30 rom memory and 60 ram memory, midi in, two stereo in/out, and you can control it by pressing buttons or by midi. The effects can also be bypassed by a pedal. It works on 220 V. The original manual is included.